According to reports, the police have arrested the owner of the godown identified as Sanjay Saini. The IAF pressed one helicopter to contain the fire. 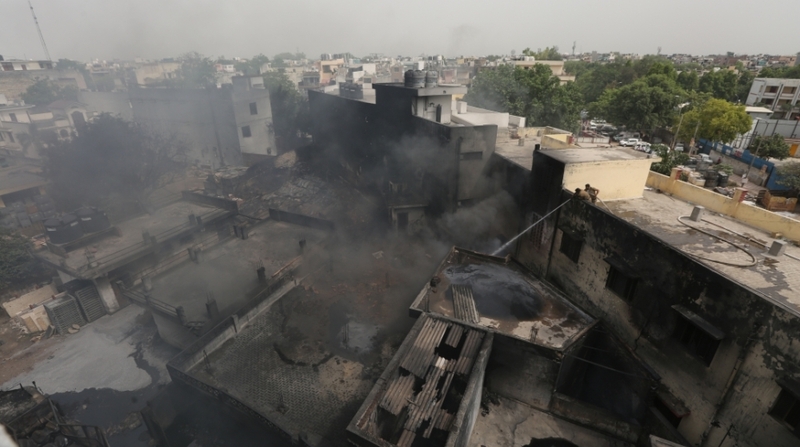 The chopper made repeated sorties over South Delhi and conducted a ‘Bambi Bucket’ operation to pour water over the site. A call about the fire was received around 6 pm on Tuesday and 35 fire tenders were rushed to the factory to bring the blaze under control. The blaze, of the highest category that Delhi has witnessed in recent times, forced authorities to call in the IAF. 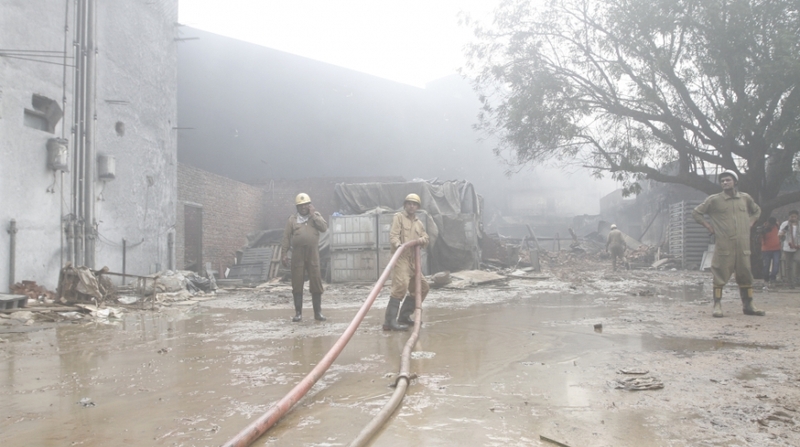 “Around midnight, a request was received at HQ Western Air Command for containing a fire at Malviya Nagar. A MLH class helicopter airborne from Sarsawa did a recce and landed at Palam. Thereafter, the helicopter got airborne with bambi bucket to contain the fire,” the statement by the IAF said. The helicopter, flown by Wing Commander Pradeep Bhola of the Mighty Armours, filled water from Yamuna reservoir and sprayed it over the site three times. Approximately 8,000 litres of water have been used in the operation. The IAF said that this was the first time that ‘bambi bucket’ operation was done in a high-risk urban situation. A truck full of rubber sheets, parked near the godown, suddenly caught fire on Tuesday. It spread to the godown in no time. The dense plume of smoke billowed from a truck and the godown all through last night causing panic among residents in the densely-populated locality. The smoke was visible from houses over 5 kilometres away from the site. As the fire spread to the nearby buildings, people who live near the fire site were evacuated. There have been no reports of casualty. Cooling operations are underway at the factory.